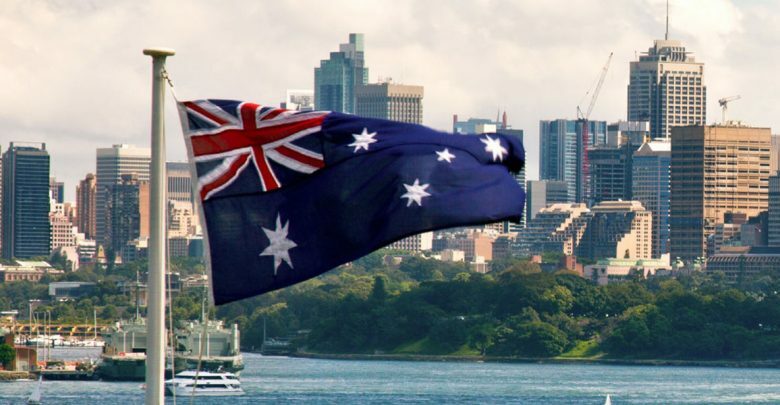 In the Asia-Pacific region, seven of the ten largest and fastest growing flexible workspace markets in the world are thriving, with key cities like Sydney and Melbourne driving growth, according to research by Instant Offices. 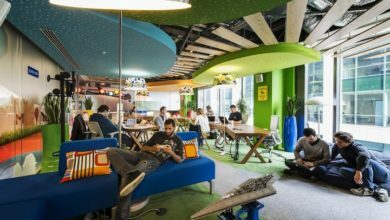 With this new way of working set to grow even further this year, Tom Fleming, Director at The Instant Group, looks at nine ways businesses can benefit from shared office space and coworking in Australia. Workspace in an A or B grade building in a major CBD in Australia can cost between $20,000 – $25,000 per employee, per year. By comparison, an Australian co-working space costs, on average, between $7,200 and $12,000 per desk, per year – all inclusive of furniture, internet, utilities, cleaning, reception services, kitchens, bathrooms and more. 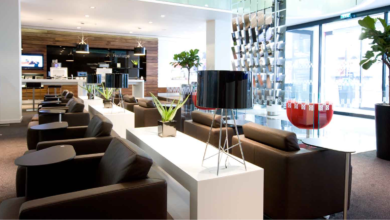 This gives businesses a massive saving of up to 70% when choosing flexible space over traditional office space. 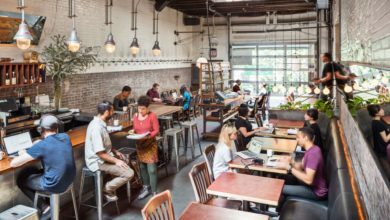 In addition, co-working space offers businesses complete flexibility around terms (1 month, 3 months, 6 months, for example) rather than committing to a 3+ year lease. This function essentially converts a fixed cost to a variable cost, allowing a business to adjust its P&L when it either grows or contracts. Not everything has to be business focused though. It’s great for team happiness and wellbeing to be able to meet people from outside the business to grab a coffee with, have a chat or play some ping pong! When I ran a shared space, I was never really sure how to describe the role of a community manager, as they’re really office all-rounders. Whether it’s greeting clients in the morning, checking up on you during the day, fixing a problem, providing an introduction, delivering mail or organising events, their job is about making sure you and your team are happy and fully utilising the office, and that’s a pretty great resource to have. In an annual Australian career survey, 66% of employees said a great workplace was their main reason for being happy at work. 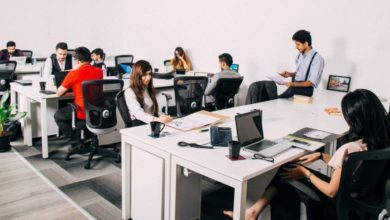 Many coworking spaces in Australia either have interstate and/or global offices (think WeWork, Regus, Servcorp), or they have affiliations with other co-working providers, which members can benefit from. Collaboration and community are a big part of the culture in an Australian co-working space. I always describe it like walking into your favourite coffee shop – they know your order and your name before you’ve got to the counter. It’s effortless, positive and one of the reasons you go back every day. 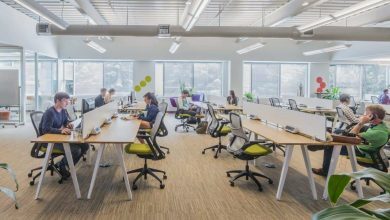 Yes, it’s probably not everyone’s cup of tea, but a lot of people like that feeling of walking into a shared office space which is buzzing. There are people working, talking, collaborating, there’s movement, the smell of coffee – all of these things create a really positive and energizing feeling. And it’s unique to the coworking world.